The purpose of alimony is to prevent one spouse from living in poverty after divorce while the other lives an affluent -- or at least comfortable -- lifestyle. Most judges will begin alimony considerations with a review of the standard of living the spouses enjoyed while married. However, courts must usually cut that standard of living in half if only one spouse earned income. For example, if the marital lifestyle was supported on $100,000 a year, and all that income was contributed by one spouse, the income-earning spouse might be ordered to pay $50,000 alimony a year. Each spouse would have to live on $50,000. This may not be comparable to how they lived while married, but each spouse would enjoy a similar lifestyle post-divorce. When one spouse’s income has not solely supported the family, the court will consider the income of the other spouse if she seeks alimony. If spouses enjoyed a $100,000-a-year lifestyle, with one earning $70,000 per year and the other earning $30,000 a year, a judge might order the higher earner to pay $20,000 a year in alimony to the other, so both spouses can live on $50,000 a year. Most state courts will distribute marital property before addressing issues of alimony. If the under-earning spouse receives an asset that produces income, such as an investment account or a rental property, those proceeds are usually added to her income. This works in reverse as well; if the higher-earning spouse receives an income-producing asset, it is included in his income. Retirement benefits are usually an exception to this rule, if they do not pay out at the time of the divorce. Some states will take marital misconduct into consideration when determining alimony. When a spouse alleges issues of abandonment or infidelity as divorce grounds and can prove those grounds, some courts will factor that in. For example, in North Carolina, a spouse who commits adultery is usually prohibited from receiving alimony, even if it means her income and lifestyle drop drastically post-divorce. Some states will order an adulterous or deserting spouse to pay alimony as a punitive measure so the wronged spouse does not have to suffer less income because of the other's actions. Courts often award alimony only long enough to allow the under-earning spouse to get back on her feet financially. This is "rehabilitative" alimony. An exception is long-term marriages where the under-earning spouse has devoted her life to the home and is not likely to ever be able to support herself in the style which she enjoyed while married. Some states order alimony according to a percentage of the length of the marriage. For example, in California, after a 10-year marriage, a spouse might receive alimony for five years, or 50 percent of the duration. DadsDivorce.com: How Is Alimony Determined? Attorneys.com: How Is Alimony Calculated? Virginia’s alimony statutes were relatively stagnant until 1998 when the legislature finally took steps to bring its laws current with the social climate. The 1998 legislation changed the term “alimony” to “spousal support,” and it allows judges a little more discretion when awarding it. Since then, some counties have continued to upgrade their spousal support guidelines, predominantly those in the northern part of the state. 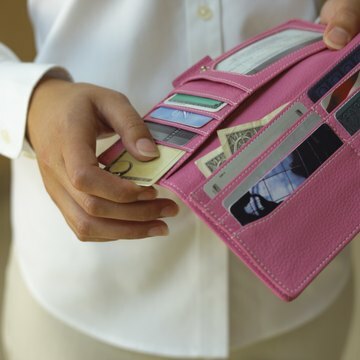 After divorce, one spouse is sometimes left without financial resources to support herself, but alimony -- sometimes called spousal support -- can help. An Iowa court can award alimony to either spouse based on certain statutory factors. However, unlike child support, it is not awarded according to a formula or percentage of the other spouse’s income. How Is Alimony Calculated in Ohio? Is it True a Husband Always Has to Pay Alimony When They Get Divorced?